It is high time the government realises that all good researchers should be treated equal, that they don't deserve to become embedded in a rather illogical hierarchical setup. Aswin Sekhar is an Indian astrophysicist who works at the Centre for Earth Evolution and Dynamics, Faculty of Mathematics and Natural Sciences, University of Oslo. The recent announcement of special privileges and stipend hike exclusively for IIT and IISc research scholars is a monumental case of academic snobbery. India is a country with tens of top class research institutions in the basic sciences and in the medical and engineering sciences. The combined strength of junior researchers from all these institutions will run into the ten thousands. In such an environment, it is extremely unfair when the stipend is hiked more than twice over – from Rs 25,000 to Rs 70,000 – only for a small proportion of this research population (about 2,000 eligible scholars picked from the IITs and the IISc), ignoring the rest. Are all the other researchers the children of a lesser god? It has been reported that the primary motivation for this decision from the central government as to prevent brain drain and retain our better scientific talents by giving them befitting benefits and encouragement in their journey to secure a PhD. This is indeed an honourable motive. However, it is important to note that there are research scholars in other research institutions in the country who are equally talented, hard-working and committed, thus deserving of the same level of pay and benefits. The general public might wrongly presume that only the entrance and selection procedures to IITs are tough and super-competitive. However when it comes to the PhD, there are plenty of other selection tests — JEST, JAM, CSIR-UGC NET/JRF, GATE, etc. — that are equally competitive and difficult. In addition to these exams, some of the top central government research institutions have their own exams and interviews en route to appointing junior research fellowships (JRF) with paid scholarships. This clearly shows that some of the non-IIT and non-IISc research scholars do undergo an equally, if not more, arduous selection process, often in multiple stages instead of just taking one exam. Not considering them as part of a supposedly elite group of researchers is simply unfair. India has long held a unique position in the global scientific scene because of its strong presence in the space race and on the atomic energy front. Our track record in these domains as a country is as good as that of many first world nations’. However, for a long time, India has also been the country that had significantly lower pay for junior researchers. With the recent nation-wide protests by research scholars, it is good to see a slow but welcome change in the improvement of pay-scales and other conditions of the junior research workforce. But at the same time, there has been a disparity in stipend hikes and arrears due to different institutes being funded by different departments. For example, the departments of space, of atomic energy and of science and technology have non-uniform norms. So it has become increasingly evident proper pay parity among researchers of the same level is very hard to effect unless there is more and better synchronisation between central government departments. And such disparities themselves create unwanted tensions and heartburn when researchers from different institutions interact with each other. 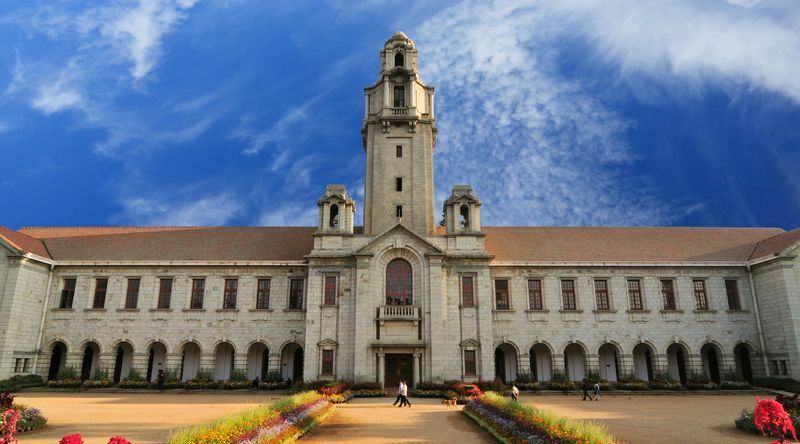 Against this background, the new announcement that grants a sort of special status to IITs’ and IISc’s researchers alone and exclude others will only widen rifts. There are plenty of examples of exemplary scientists inside India as well as abroad who came from a non-IIT/non-IISc background but rose to become pioneers. One example (among many) is Venki Ramakrishnan, who went on to win the Nobel prize for chemistry in 2009 and is presently the president of the Royal Society in London, the first and only person of Indian origin to have held this position thus far. So it is high time that ministers and officials realise that all good researchers should be treated equal. That they don’t deserve to become embedded in a rather illogical hierarchical setup. Note: On August 29, 2017, the article was edited to clarify that only 2,000 scholars picked from the IITs and the IISc would qualify to receive the stipend hike, as opposed to all of them.